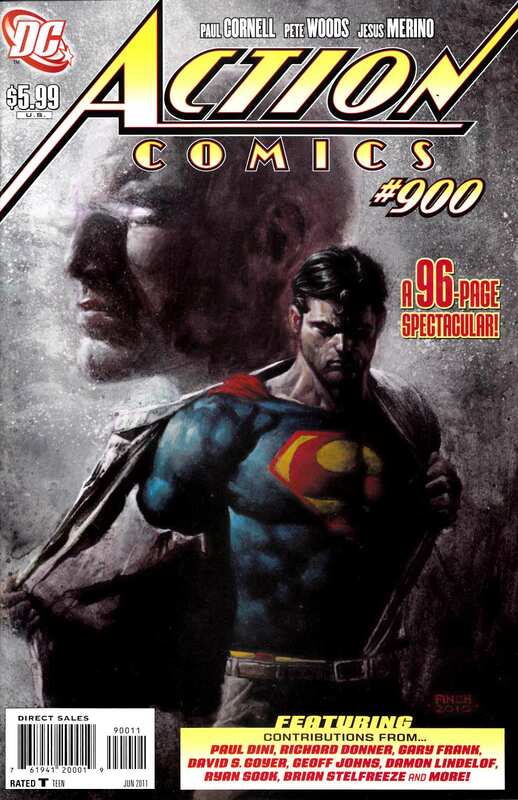 Superman returns to ACTION COMICS just in time for the title's historic 900th issue, which clocks in at 100 pages! Everything Paul Cornell and Pete Woods have been building to over the last year culminates here in the ultimate Superman vs. Lex Luthor battle! But that's not all - this story will lay the grounds for an insanely epic story coming out this summer in the pages of ACTION! Plus, an incredible roster of guest talent help us celebrate this landmark issue, including the screenwriter of The Dark Knight, David Goyer; famed Superman: The Movie director Richard Donner; the co-creator of Lost, Damon Lindelof; and the creative team behind the hit DC UNIVERSE ONLINE game!